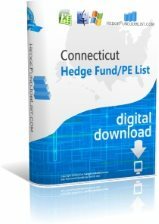 Yankee Hill Capital Management is a private equity company based in Southport, CT and was founded by Lawrence Weinbach. Their primary investment strategies/sectors are Consumer Products and Services. The company was founded in 2003. Wind Point Partners is a private equity company based in Chicago, IL and is led by its Managing Director, Mark Burgett. Their primary investment strategies/sectors are Business Services, Consumer Products, and Health Care. Wind Point Partners has $1771.963927 million in assets under management and has 24 employees. The company was founded in 1984.